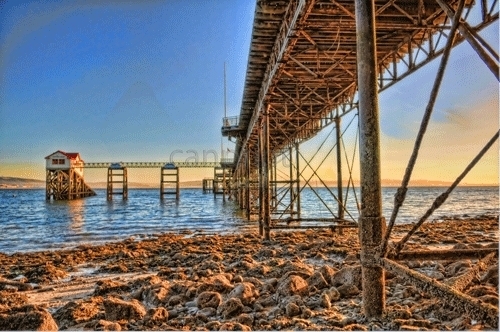 Mumbles Pier in Swansea Bay. 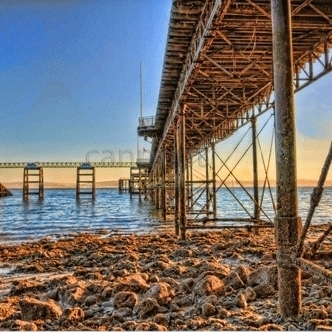 Another beautiful print of Mumbles Pier, Swansea Bay showing an unusual but interesting view seen by most but unnoticed captures the pier from below the rotting structure. Canprints own high resolution medium format images are all taken by our own professional photographer and are all original images which are all numbered.